To view the finding aid for this collection, see the Finding Aid at the Online Archive of California. Beatrix Jones Farrand opened her landscape design office in New York in 1895. In 1899 Farrand joined Frederick Law Olmsted, Charles Eliot, and others in founding the American Society of Landscape Architects. During her fifty-year career, Farrand designed approximately 200 gardens. Throughout her career Farrand collected books, prints, and photographs documenting landscape architecture and related topics for a research library at her Reef Point estate in Maine that also included a test garden of native flora and an herbarium. 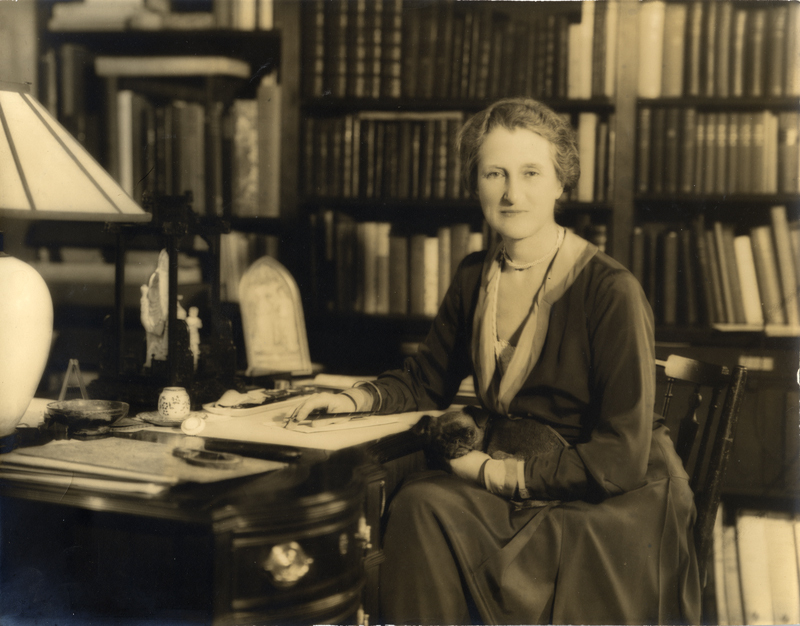 Among her major projects were Dartington Hall in Devonshire, England, Dumbarton Oaks in Washington D.C., the Rockefeller Estate in Maine, and projects for Princeton and Yale Universities. The Farrand Collection consists of personal and professional papers, office and project records, research materials, and records related to Reef Point. The personal papers consist of student drawings, records of her travels in Europe, family records, and photographs. The professional papers include awards and lectures and articles by Farrand. Project records are comprised of correspondence, project files, photographs, and drawings. 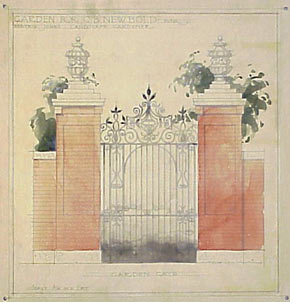 The research materials include subject clipping files and photographs and prints of gardens, natural landscapes, and landscape architectural elements such as gates, benches, and statuary. The Reef Point Records document the administration of the house, garden, and library. The Jekyll collection includes presentation drawings, planting plans, plant lists, surveys, photographs, and correspondence relating to residential gardens throughout the United Kingdom. The Jay collection documents her career as a landscape architect, her lectures on gardens, and her involvement in the profession. Lecture notes, lantern slides and scrapbooks of images of gardens around the world, and architectural drawings form the bulk of the collection.